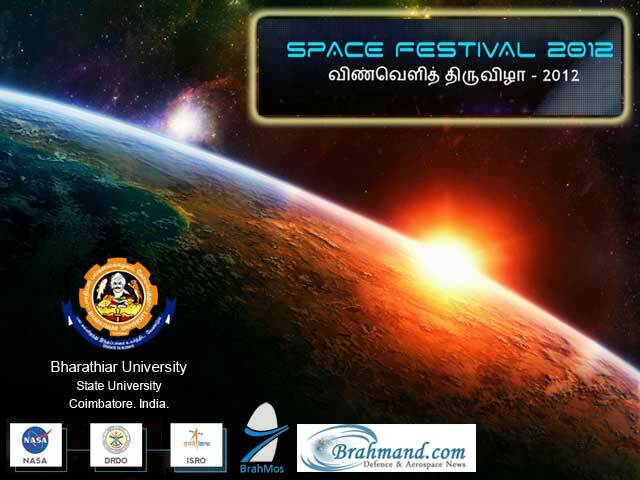 'Space Festival 2012' is being held from 9 - 14 July 2012 at Bharathiar University in Coimbatore, India. 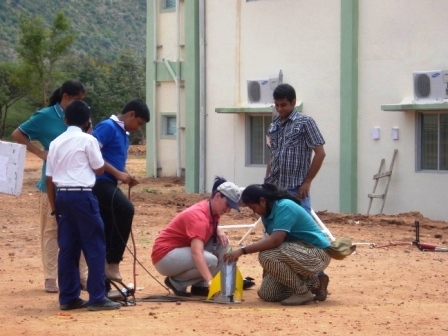 Students visiting the BrahMos Pavilion. School students participating in the Quiz Competition organised by BrahMos Aerospace as part of the 'Space festival 2012'. 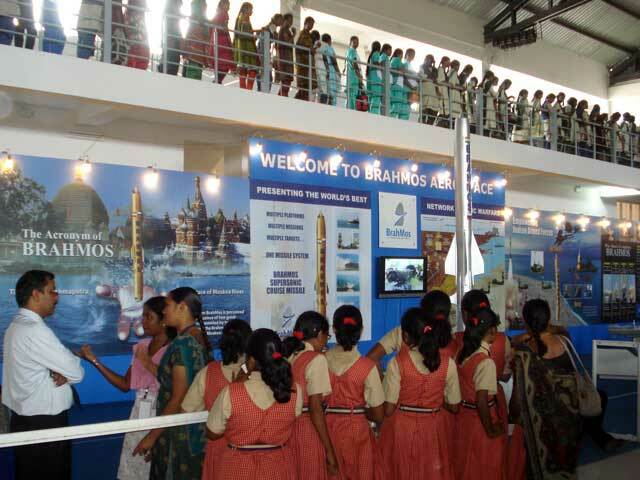 The BrahMos pavilion at the 'Space festival 2012' has attracted over 10,000 students. BRAHMOS Weapons Systems: BRAHMOS on Mobile Autonomous Launcher. BRAHMOS Weapons Systems: BRAHMOS on Destroyer. 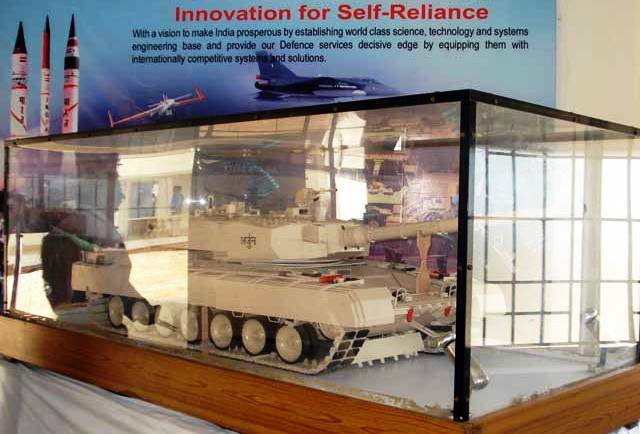 Model of Arjun MBT developed by CVRDE, Chennai on display. 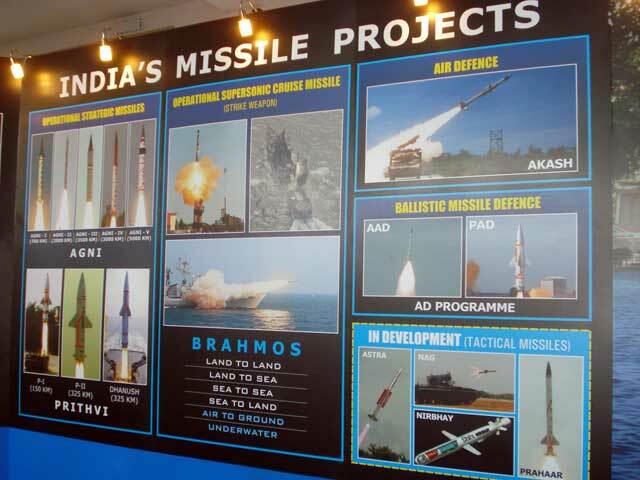 India's Missile Projects: Posters highlighting the journey of missile systems in India.